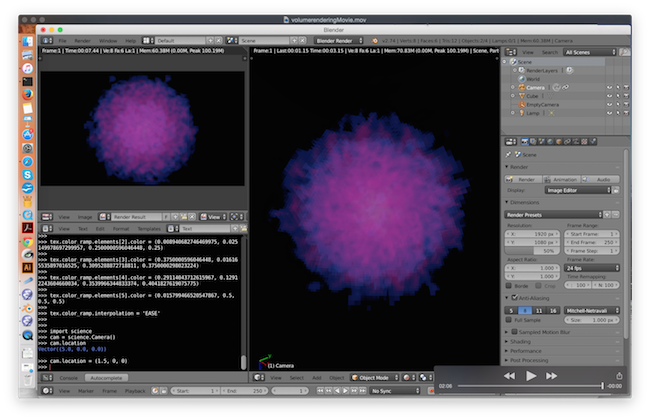 Quick over view of some Viz projects (including AstroBlend and ytini). 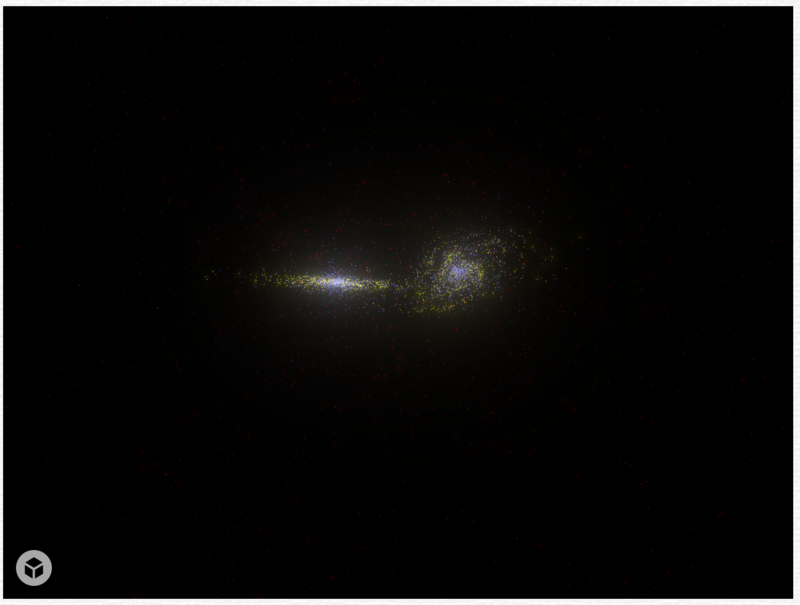 Outlining how to make interactive 3D movies of particle data on Sketchfab. From data in text files to using yt! 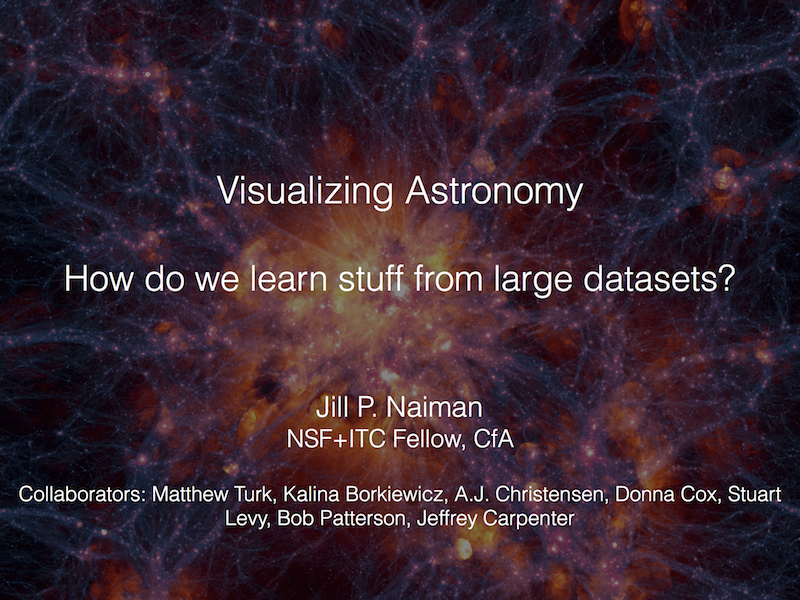 Quick post containing slides for the talk I got to give at Pixar last week. 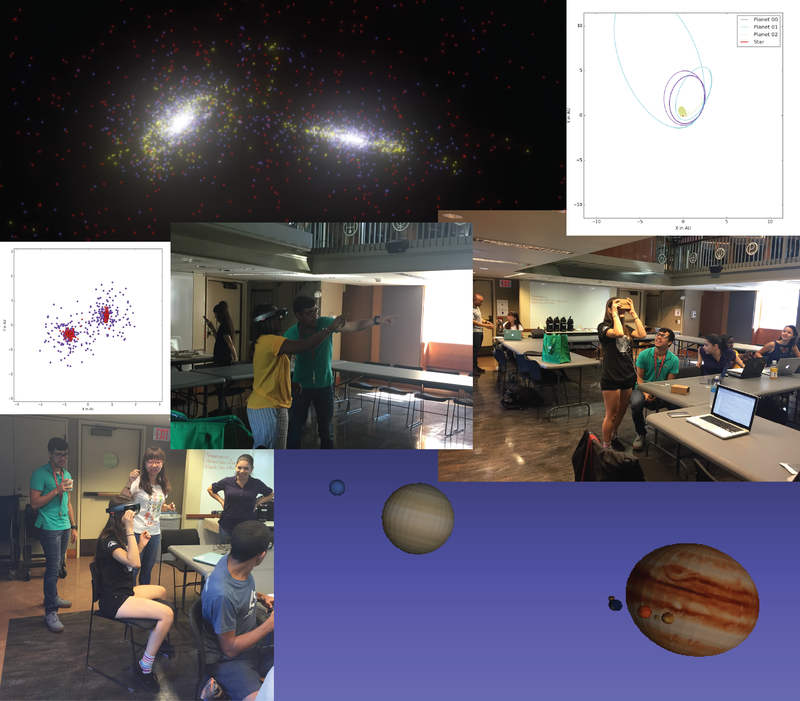 Links and discussion about the Astrophysical Visualization class I had the opportunity to teach through the Banneker and Aztlan Institutes at the Harvard-Smithsonian Center for Astrophysics this summer. Lecture slides and class materials are included in this blog post. More details on individual methods/code will be the subject of future posts. 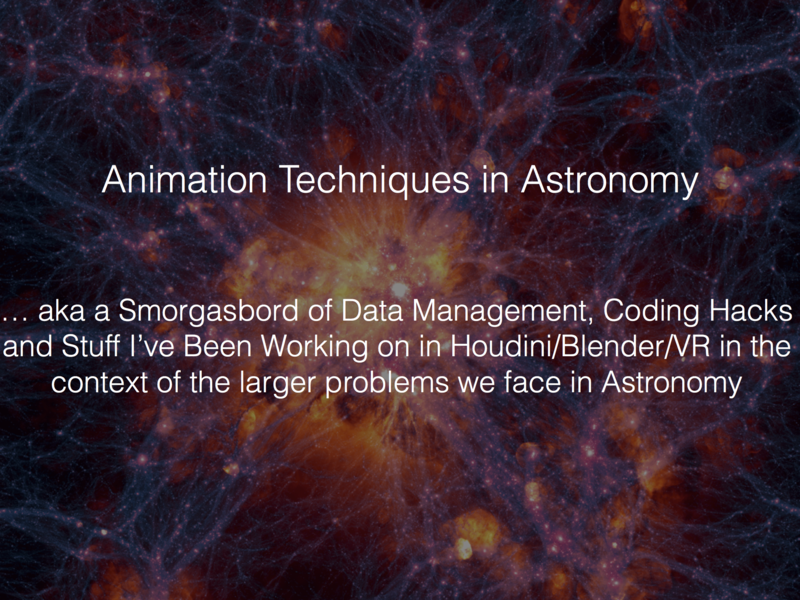 Here are the slides and movies from my talk at the Blender Conference, 2015. It was a blast! 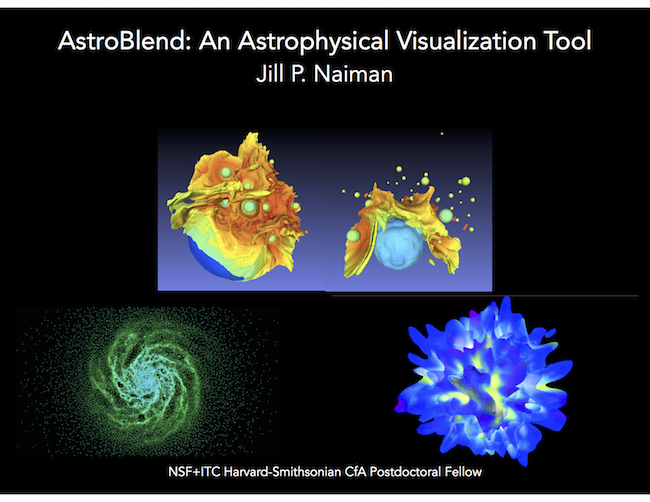 Here is another quick example of something cool we worked on during my last visit to NCSA: real-time volume rendering in Blender! Note: this is all done in memory - no need for an external voxel file. I've been working closely with the yt team to create a GUI in Blender for yt. Here is a quick movie showing some of the features - including the generation of isocontours, slice plots, and grid objects. © 2012-3000 AstroBlend, Inc. All Rights Reserved.